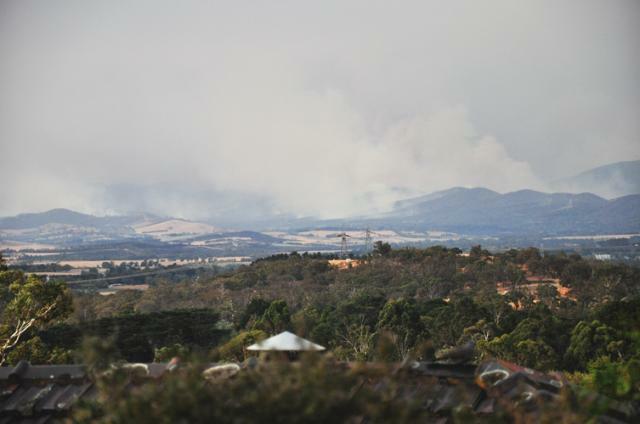 This is the view yesterday (two days after Black Saturday – which I believe is what the day is being dubbed) from my in-law’s place in Lilydale. They are overlooking the Yarra Valley/Healesville’ish fires and some of the smoke is probably from Marysville or St Andrews. I am still kicking myself that I didn’t have the camera with me on the Saturday as it was eerily spectactular from up there, at some stages we could see flame.